Mama Tina takes ESSENCE on a stroll down memory lane as we continue celebrating the Lawson's new WACO Theater & Performing Arts Center. 2017 ESSENCE Festival speaker Tina Knowles-Lawson knows a thing or two about creating fashion moments that make jaws drop and keep people talking long after the cameras stop flashing. The accomplished designer, stylist, businesswoman and philanthropist recently unveiled the new WACO Theater and Performing Arts Center she created with her husband Richard in Los Angeles, so it was only right that she also throw a star-studded charity gala to celebrate the center’s grand opening. While we continue marveling at the unforgettable fashion moments from Miss Tina’s Wearable Art Gala –which raised nearly $1 million for the new center, that will aim to empower young people through mentorship and art–scroll through to hear a few memories Mrs. Knowles-Lawson shared with ESSENCE about some of the most unforgettable wearable art moments led by Black women…including her thoughts on a few of her own original Destiny’s Child creations! "The shape of that dress is very reminiscent of the 80s. I love the shape of this because it forms almost like a face. Solange, to me, is modern day wearable art," Mama Tina tells ESSENCE. 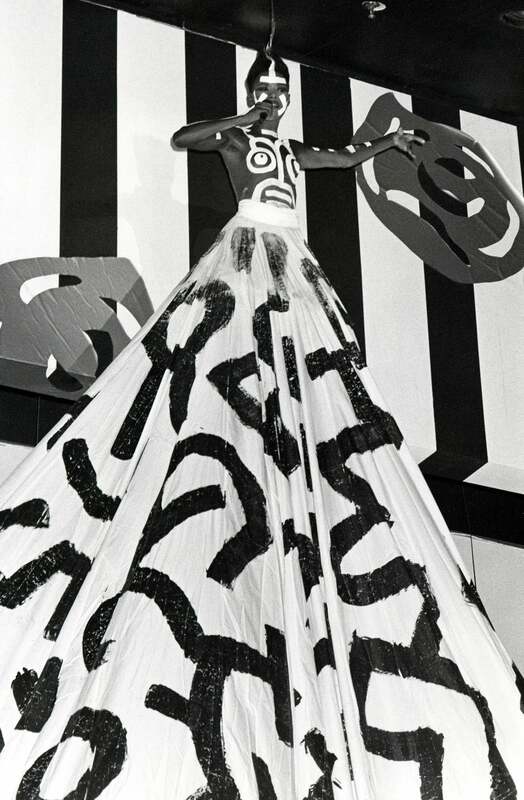 "It's funny, when I asked her if she had thought about what she was going to wear to the gala, she said, 'No mama, everything I wear is wearable art.' And she's right!" "The whole thing with Destiny's Child is that we always drew inspiration from the old Motown girl groups. When you think of a group like the Supremes, you not only wanted to hear them sing but you waned to see what they were going to wear because they were different so, we wanted to create that on our little budget. These outfits were like a little funky thing where I was attempting to mix a cargo type of look with a little bit of drama. I I always tried to look at what each girl liked about her body. Kelly and LaTavia both had beautiful legs, LeToya loved her stomach out and then Beyonce loved her long skirts. I remember dying these shoes and they were a disaster because they were white and we dyed them and they came out too dark so, I soaked them in clorox…this is too funny! It definitely brings back memories. It was a cool little outfit for the time, though." "Solange has referenced this photo. It’s just incredible because she’s on a ladder. 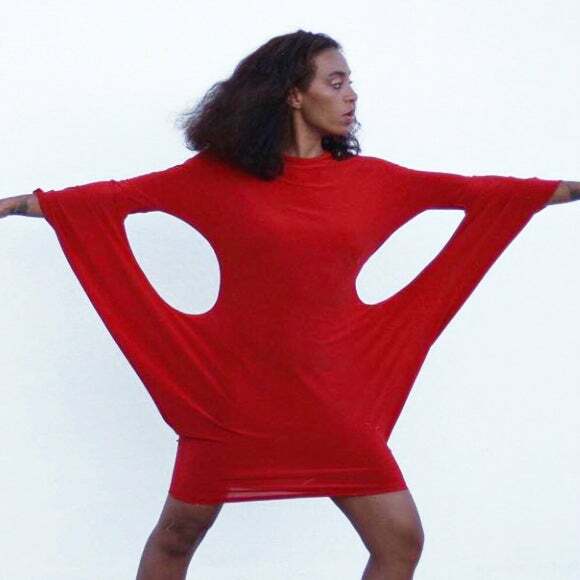 We did a photo, which I reposted, of Solange in this t 10-foot long skirt that I designed and it was inspired by this photo. Not so much by what she has on but, the fact that the skirt is endless. Grace Jones is one of my favorite style icons; she always totally went there." "If you look at the girls at the Grammys or you look at some of Beyonce’s outfits, you’ll see beaded fringe and you’ll see this same type of feel. 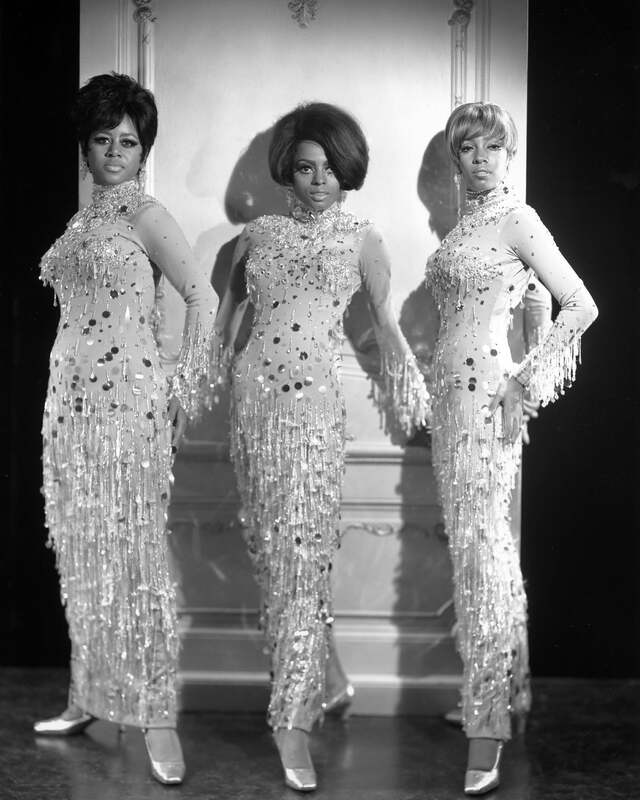 The Supremes were my favorite out of the artists from that era. They were always so elegant but, you know, they had a little edge to them. Wearable art, but in a very elegant way." "That design on the bottom looks like a big flower but, it's actually feathers made into something almost like a flower. And look at Kelly’s legs, lord! She’s killing it. That’s definitely wearable art." "These were all hand-stoned and this was really cool because I wanted to create something artistic and cool with leather. I loved these corsets. The girls loved these too. They were young and they wanted to be different and they were confident enough to be different, no matter what people had to say." "You know, I loved Queen Latifah when she came out because she had that proud queen thing going on. When you look back at her fashion choices, that was really bold for that time! 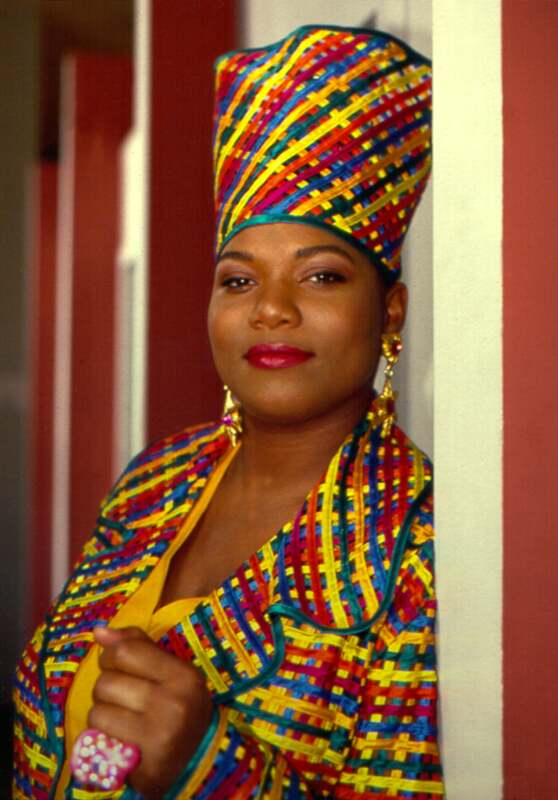 Nobody was rocking stuff like this and she was just like, 'I’m a queen.....and I’m an African queen.' She definitely set a trend and influenced fashion because not long after, other women started wearing similar stuff." "This was our first time really being able to get the top stuff. A lot of the things that the girls wore earlier on was because we had a very limited budget, so I would take what we had and go buy expensive fabrics to try and create something wonderful. But, this time, Donatello actually gave me these dresses after we became friends and I think they are just incredible. This reminds me, again, of The Supremes because it’s wearable art but it’s still very very elegant." "I loved the Solange halo with the black and white. It was actually hair and the designer who made it does these beautiful head pieces and she photographs them and sells them. You know, Solange is always up on everything before anyone else is so, she asked the designer if she could do it and add rhinestones and it just came out amazing. That was a favorite of mine. If nothing else is wearable art, THIS is." "This was the first night that I went out with [my husband] Richard in public. I just waned something really elegant but, I wanted it to have a little funk to it. We went to the Angel Ball. I loved that dress."